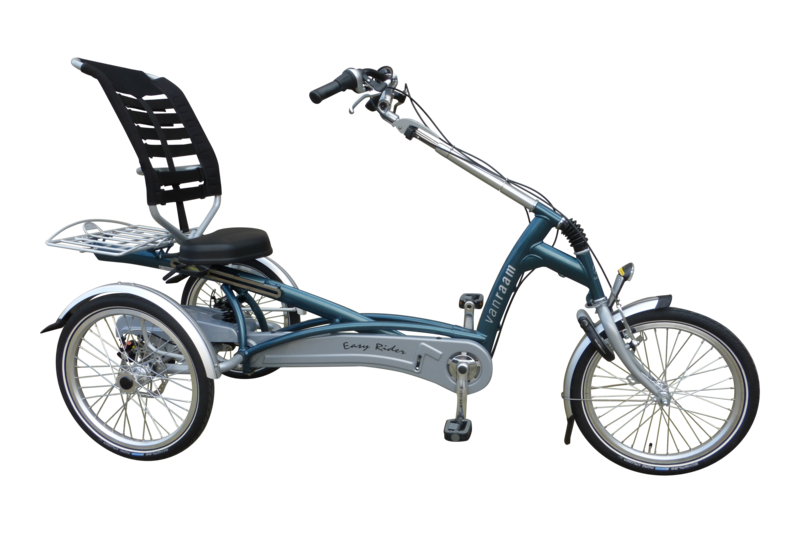 This is the teenage/adult trike we recommend first !! The Easy Rider tricycle for adults is clearly different from other tricycles. It has a unique frame with low step through and a stable lower sitting position. The low centre of gravity seating with a back support and steering in front give the rider a safe and secure feeling. The clever seat back not only adjusts in angle but the straps can be adjusted to allow a more supportive and comfortable ride with the easy rider. The forward pedalling motion and the frame suspension ensure a perfectly comfortable ride. The special cycling position lays hardly any burden on the back, neck, shoulders and wrists. With easier transferable seat height and wide age range/leg length adjustment. Optional extras include: 8 speed, split frame, foot plates, crank shortners.